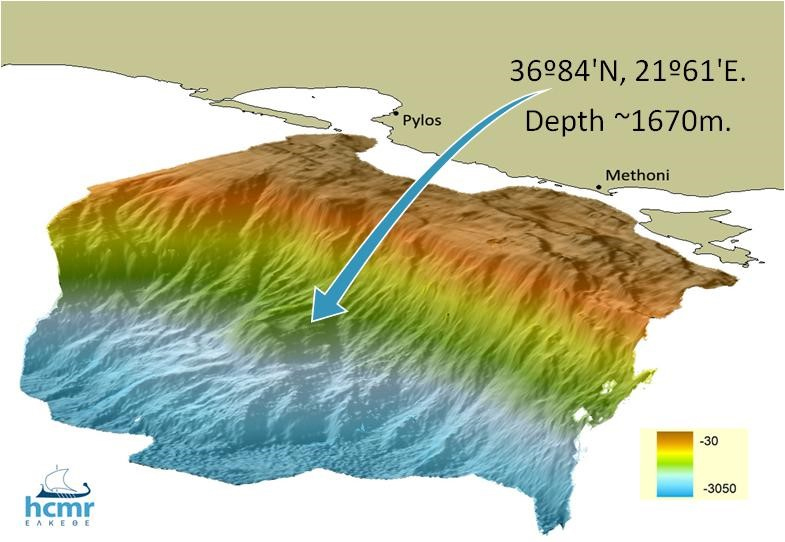 The Hellenic Arc is a subduction zone, that is where one tectonic plate “sink” under another one. It is the most tectonically active region in Europe, with a varieties of geo hazards, such as high sismicity, slope instabilities and tsunami. The deep ecosystem is poor in nutrients (oligotrophic) and sensitive to climate change. The region is also on the routes of many cetaceans, that can be monitored through bioacoustic sensors, which are part of the EMSO Regional Facility equipment. Real‐time long‐term monitoring of oceanic circulation, deep‐sea processes and ecosystems evolution. Study of episodic events such as earthquakes, submarine slides, tsunamis, benthic storms, biodiversity changes, pollution. Simultaneous data relative to: seismology, geodesy, sea level, fluid and gas vents, physical oceanography and biodiversity imaging at different scales. The Pylos station is a part of POSEIDON buoy network that currently consists of 6 oceanographic mooring sites monitoring in the Aegean and Ionian Seas. 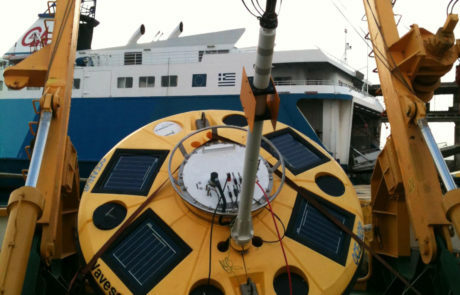 The infrastructure operates since May 2007 in the SE Ionian Sea at a depth of 1670m, comprised of three major parts: the water column component with a surface buoy; an autonomous seabed platform and the cabled seabed observatory. 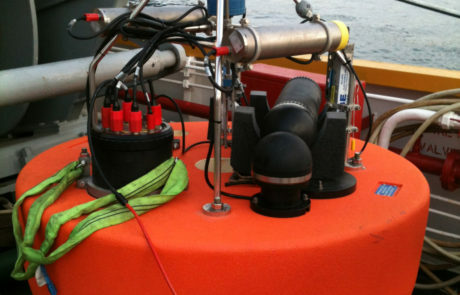 It delivers near real time data for a variety of meteorological, water column and near seabed oceanographic parameters. 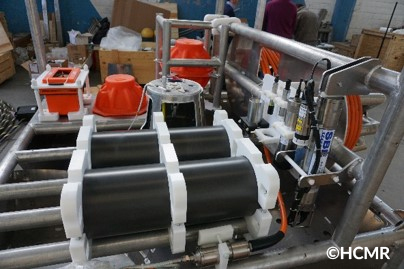 An inductive mooring line provides salinity, temperature and pressure real-time data from surface to 1000 meters depth. 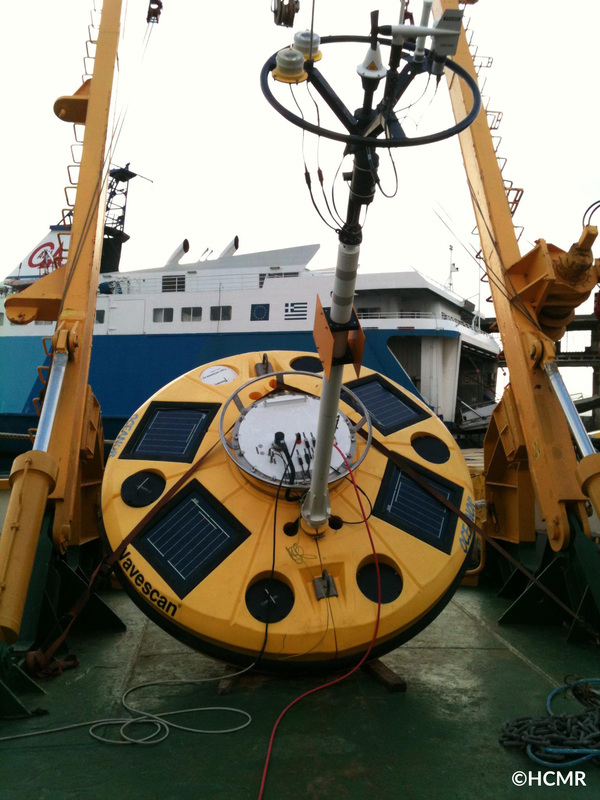 An autonomous seabed platform was also deployed during 2008 to monitor deep sea (1670m) temperature, salinity and dissolved oxygen data as well as high frequency pressure measurements for tsunami detection. The cabled platform will extend the measurements for the Pylos observatory, providing real time measurements at a depth of approximately 1600m and capturing HD video and still images.